The next day, Harry called his father to inform him to get another lawyer to take over the case. He only slept for an hour because his mind kept on going back to his omega&apos;s health. Harry kept on checking on his lover&apos;s temperature every once in a while to make sure that he&apos;s alright. 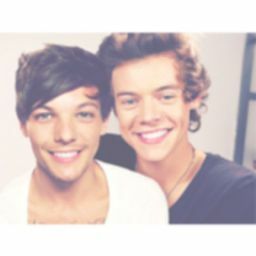 "Harry, stop touching my forehead, I wanna sleep," Louis said sleepily but still continued to cuddle into his arms. The alpha smiled down a bit at his lovely omega, he said softly, "Sleep, I&apos;m sorry," and leaned down to kiss his hair. He rubbed his waist gently as he continued to watch him with adoration in his eyes. Louis furrowed his eyebrows and mumbled, "Why is it so hot in here?" and slowly sat up on the bed. The question enough got the alpha alarmed, he asked immediately, "How are you feeling?" and started rubbing his baby bump as he watched him with concern. The omega gasped out for air and said breathlessly, "I-I can&apos;t breathe," and looked at him with his eyes wide in fear. Harry acted fast and got out of bed then picked him up in his arms bridal style. He&apos;s lucky that he didn&apos;t decide to strip down to his boxers like he does every single night. Something inside him told him that he had to stay awake and look out for his mate in case of anything. Once they were settled in the car, he started driving and kept on telling him, "Louis, are you feeling better? Talk to me, baby, come on," and swallowed the lump in his throat while he tried his hardest not to break down in front of him. 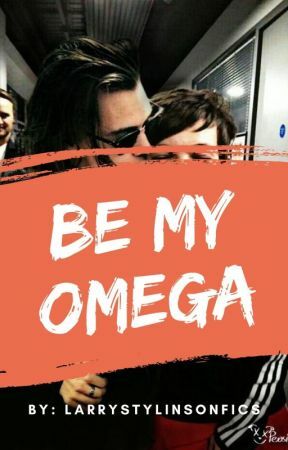 The omega&apos;s vision was a bit blurry from crying as he said, "I&apos;m okay, I&apos;m fine, don&apos;t w-worry," and tried to calm down his breathing. He feels a bit better now that the air conditioner is on so he started rubbing his baby bump to search for any movement. Harry parked outside the hospital and helped his omega inside with the help of the nurses. The omega sat down in the wheelchair and told his alpha, "I just want to check on our triplets then we&apos;re out. I&apos;m feeling better now." Harry&apos;s eyebrows were pinched together in utter confusion as he said, "What the hell happened back there? You think that it&apos;s normal for me? We are doing a full check up and if it means that you would have to stay in the hospital for a few days then so be it." The nurse came up to them and told Harry, "This way, sir," and wheeled the upset omega into Dr. Jefferson&apos;s office. She stopped once she was inside and helped him lay down for an ultrasound. Once the nurse left, Harry turned to his omega with his arms crossed and said, "Is there something you would want to tell me?" he figured since the doctor is still not here, might as well figure out what&apos;s going on first. Louis brought his jumper up to reveal his baby bump and said with his head down, "I am not hiding anything but I thought since I am okay now then it doesn&apos;t matter. I am so sorry that I scared you, didn&apos;t mean to," as he rubbed his baby bump slowly while waiting for the doctor to arrive. Harry sighed while rubbing his face and said, "Don&apos;t be sorry, it wasn&apos;t your fault. It scared me shitless, heck, I&apos;m still scared. My hands are shaking and I just –" then took a deep breath to calm down his nerves before he continued, "I love you and don&apos;t tell me that it doesn&apos;t matter because it does to me. You matter to me," and cupped his pale cheeks while looking him in the eye. Dr. Jefferson walked into the room which made the alpha pull away and said, "Mr. Styles, your omega&apos;s temperature didn&apos;t decrease, I see," and kept gel on top of the omega&apos;s baby bump.